The word is out concerning our little NaviNote ploy. Matty and I were chatting via battletags, and the conversation turned towards Navimie. To be honest, I’m not exactly sure why; but I have an idea. You see, she is the one that introduced us. I never would have met Matt if not for Navi. It was also Navi’s 3rd year anniversary for her blog. I was also complaining that I missed out on the Christmas events that had happened. Conversation turned towards, “what if.” What if we could do something nice for someone…what would it be? Who might that someone be? Almost immediately, we both knew: Navimie! Matty brought up the idea of everyone writing notes. I thought about having them scanned in as a picture or pdf, and putting them into a montage or collage. I’m ashamed to say that I was telling people to send me a GIF. FYI – JPG(s) are the new hotness! Or maybe it was the Bit…or PNG…or… /meltdown! Remind me to never do that again! 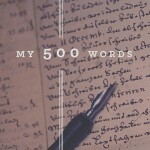 There are well over 60 blogs listed there. Oh, and not everyone has a way to contact them listed on their blog. 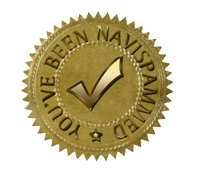 I can only wince at the amount of investigative work Navimie has to do to get a Navispam done. I spent 5 hours that first night just trying to find email addresses, twitter feeds, or some kind of hint on how to contact them. For those that have contact forms on their blogs… I could kiss you! I do have one regret. If I was to do it over, I would put the “due date” for the notes farther out. I knew that some of the emails would probably go into spam folders. I knew that there would probably be someone coming in at the end, wanting to be a part…but it would be to late. If anything, I would have divided up the blog list between 2-3 people. Give the contact team at least a week to make contact with potential participants. From my heart: For those of those unable to take part, I’m truly sorry. No one was missed intentionally. I got online first thing that morning, knowing that 8:00am for me is like 1:00am for her. I was able to catch her! Of course, if you read (or have read) her post…you know the rest. Navi, I’m going to do something I very rarely do. I’m going to speak for myself AND someone else. I firmly believe that Matty and I agree that you are a very special someone. You are worth it. Not because of what you do, but because of who you are. You do those things we appreciate so much BECAUSE of who you are.